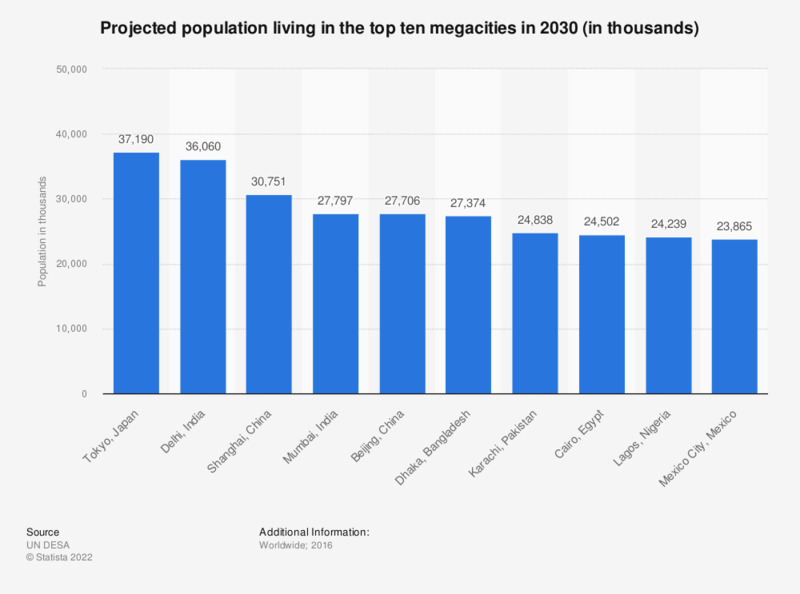 This statistic shows a forecast of the top ten most populous megacities in 2030. By 2030, Tokyo will be the most populous city in the world, with a projected 37 million inhabitants. A megacity has a population in excess of 10 million inhabitants.